Dr. Lindsey Kimura, D.C. has been in private practice for 31 years. 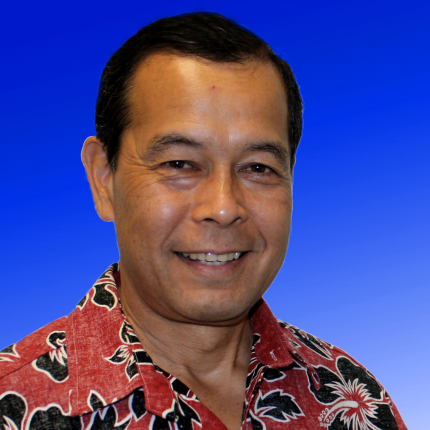 He is a Kamehameha Schools graduate, attended the University of Hawaii system, majored in chemistry at Washington State University and received his Doctorate of Chiropractic degree from Western States Chiropractic College in 1982. Dr. Kimura specializes in subluxation and wellness care, helping his patients achieve optimal health through chiropractic care, nutrition, proper exercise, stretching, and teaching people how to live in a toxin free environment. Dr. Kimura received specialized training with the International Academy of Chiropractic Industrial Consultants (IACIC). He developed a successful “Back School” program, which specializes in the prevention and rehabilitation of back and neck injuries. He is the president and owner of “Ergonomic Consultants of Hawaii” which specializes in helping companies achieve ergonomic success for their employees. Dr. Kimura also cares for athletes of all ages helping them achieve and maintain excellence in their field of performance. He competed in the 2014 CrossFit games, which has helped him further understand athletic injuries for high performing athletes. Dr. Kimura is passionate about treating families, especially young children and infants, in order to help them achieve optimal health. He enjoys helping his patients reach their full potential through chiropractic care, make correct choices nutritionally and strengthening their physical bodies through exercise and stretching.